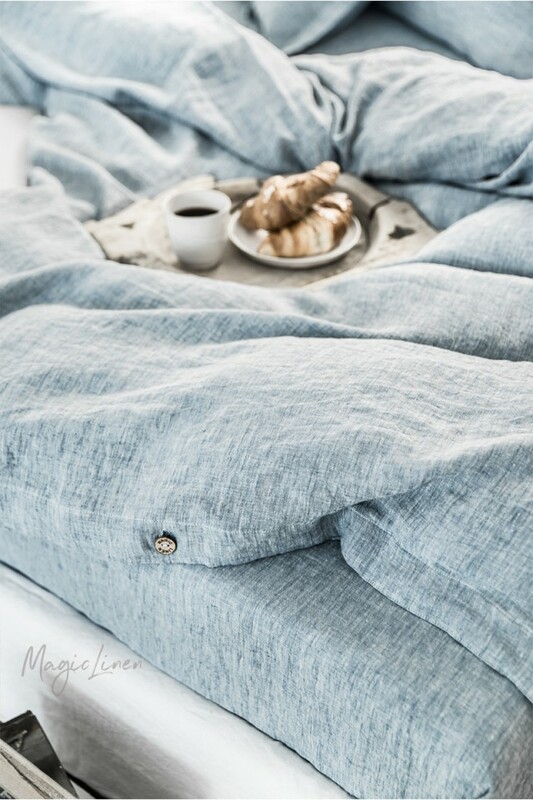 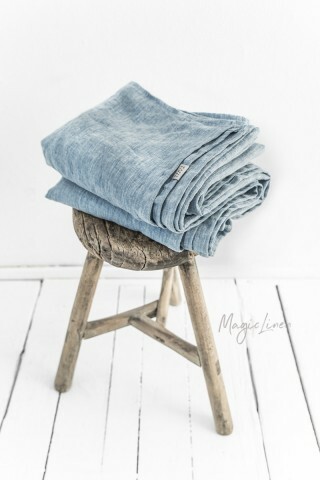 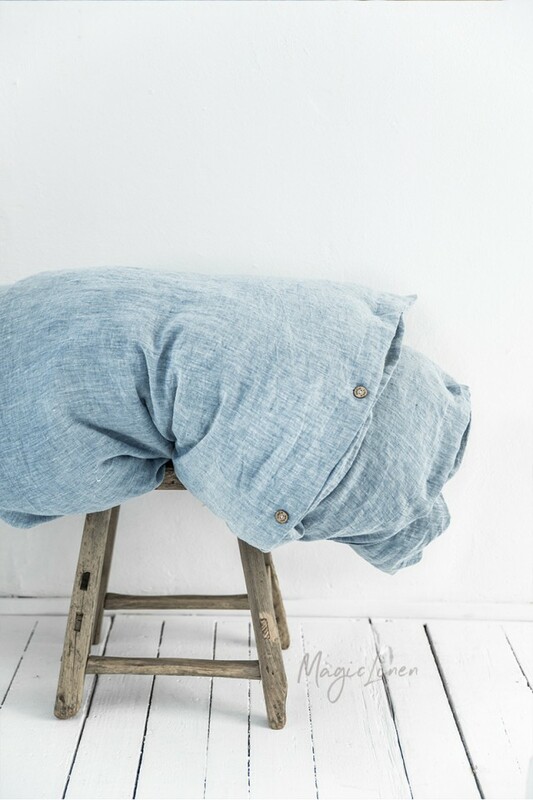 Linen duvet cover in blue melange. 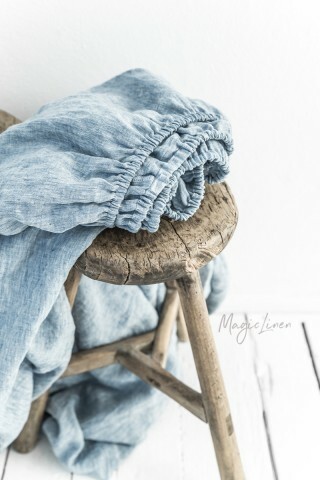 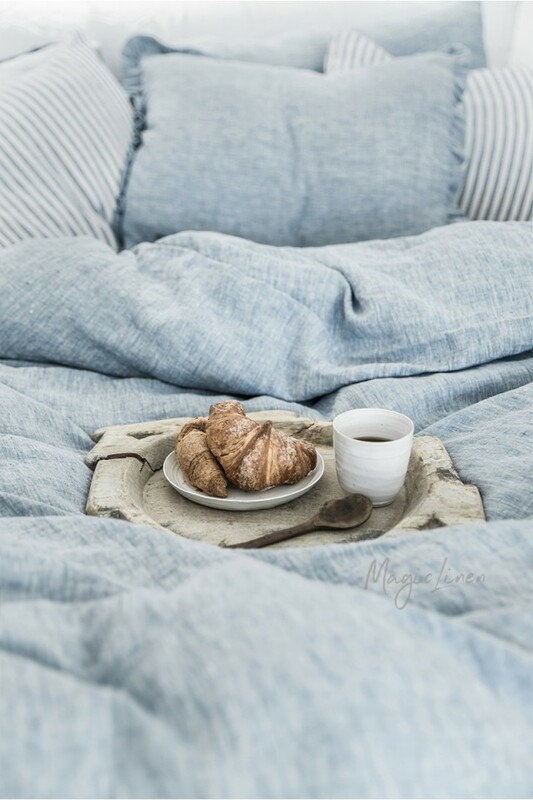 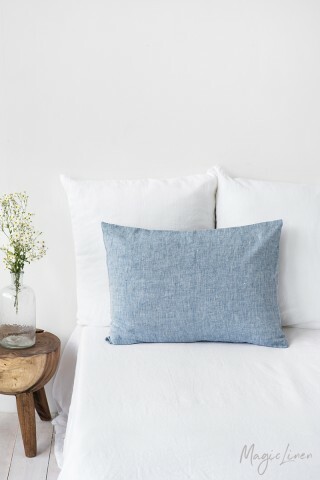 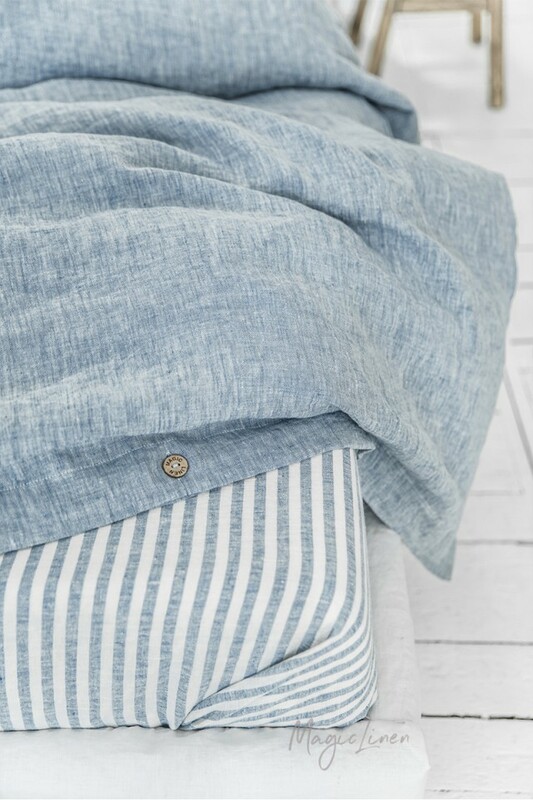 Woven from white and blue linen threads, our melange duvet cover has a unique texture similar to denim but still is very soft and pleasant to the skin. 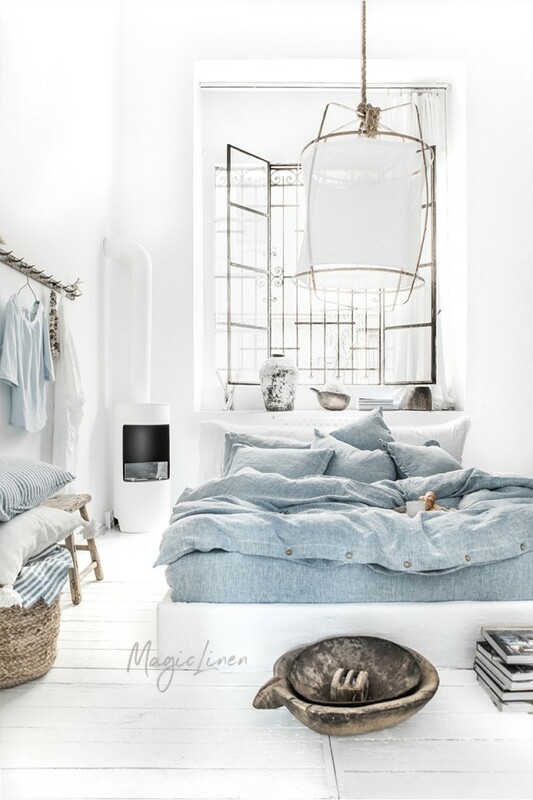 Easy to mix and match with other colors and patterns.